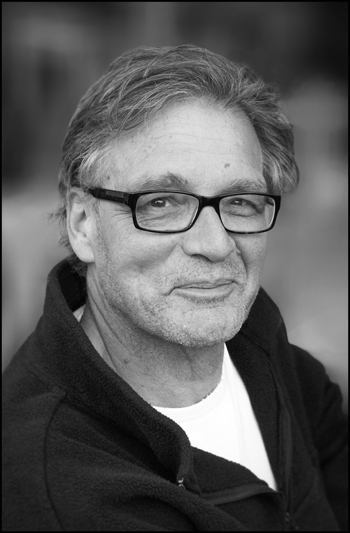 The year 2014 ended on a very sad note with the unexpected passing away of our great John Gorka-friend Willem Leeuwenhoek on November 23rd. He was 66 years old. 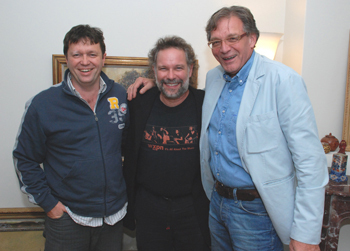 Willem was the one who persuaded John in 2008 to tour the Netherlands again after a long absence. He wrote John a mail, with the unforgettable line: "You can get my house, you can get my car, you can get my wife, but please come and play here again"! To which John replied: "Dear Willem, please send a picture of your wife". With his friend Peter ter Horst Willem flew to Philadelphia to visit John's concert and persuade him to come and perform at their 110th (together) birthday party at the Nutshuis in Den Haag. With a few extra concerts added in various parts of Holland, the long trip to the private function became worthwhile for John. Al the concerts were sold out, to his own amazement, with fans coming from all over Europe to see John again. It was so successful that John decided to return to the Netherlands three times already. A friendship with Willem developed. He stayed with friends of Willem, and Willem drove him to all the concerts as "fan, roadie, and only groupie". (He didn't get his wife, by the way). During those long hours and conversations in the car with this warm and generous man John had to endure the special kind of humour that Willem was known for. For example, Willem developed the idea of starting a John Gorka museum, where one could buy "the John Gorka whig" in the museum shop. John could then see strangers with his hair everywhere. They laughed themselves to tears. John Gorka with Ricky Koole live in "Het Nutshuis" in The Hague, may 31, 2009. This was a part of the "110 birthday party" from Peter and Willem. Willem also had a contribution to John's music. He gave John the small guitar that you see on his promotion picture, which he uses during concerts. Willem also inspired John to record the song "The Dutchman". 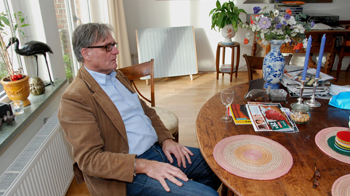 For his wife Ineke and his sons Jaap, Bouke en Sietse, the sudden loss of their husband and father is tremendous. They, and his many friends, feel the unbearable emptiness that Willem leaves behind. When John came to the Netherlands in 2013, Willem was very enthusiastic about the Frank Sinatra version of "Love's Been Good To Me". 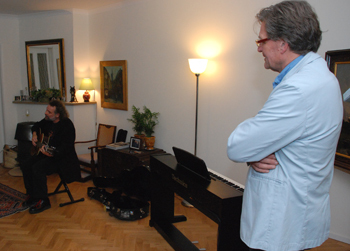 John stayed for a week in the Hague and he learned the song in a couple of days and played it for the first time "in public" for the videosession 2013.